Positioned directly on the Mediterranean Sea, roughly between Cannes and the Italian border, Nice is a destination you cannot miss given its central location and its status of being the capital of the French Riviera. It’s also the capital of all the finest luxuries and driving in a hired luxury vehicle is one incredible way to absorb it all at a pace you set. After Paris, Nice is the most popular destination in France and attracts tourist from across the globe. Just passing through Nice would be an unimaginable sin as the inviting and charming city greets visitors with open arms, facilitating for an unforgettable experience. Hire a luxury vehicle, such as a Mercedes, Maserati, Ferrari or an Aston Martin and give Nice your full attention. Apart from the sun-bathed streets and broad avenues, mesmerizing coastline and fabulous views, Nice is also rich in museums and galleries of impressive collections to rival Paris’s. Abundant in exquisite restaurants and famous hotels such as Hotel Negresco, lovers of all kinds of opulence and class find just what they are looking for when they come to Nice. Hire a luxury vehicle and explore all the nooks and hidden treasures. 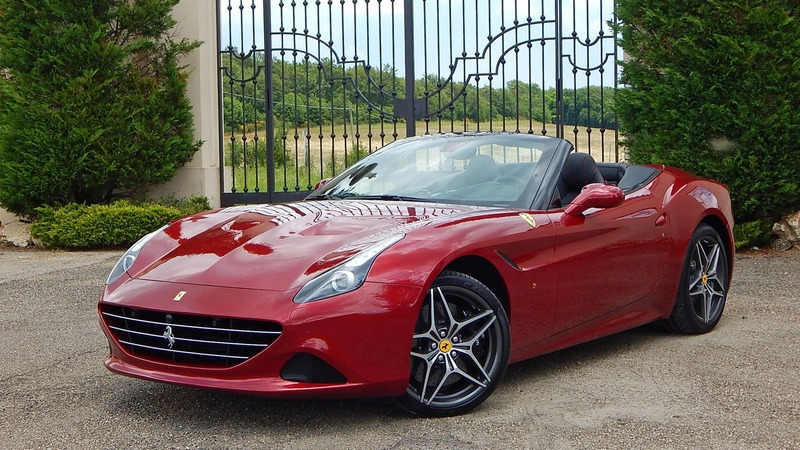 Rent a Ferrari in Nice, California T for instance and take it for an unforgettable spin. For those travelers coming to Nice for a business trip, take a break and advantage of the perfect climate all year long and pleasant temperatures. Spend a day, or a few, driving around Nice. The best way to enjoy the view, and Nice promises the best vistas of the wide sweeping bay is to hire a luxury vehicle with an open roof top and take it for a spin. We highly recommend the Maserati Grand Cabrio Sport. Drive down the world famous boulevard, palm lined Promenade des Anglais that stretches 7km along the Baie des Anges and immerse in the splendour of Belle Époque. Nice offers a great natural driving polygon for a thrilling ride. If you are looking for adrenalin rush greater than the Fast and Furious, reserve your McLaren P1 with its astonishing power reach any speed you fancy. With our luxury car rental Nice service getting the luxury lifestyle in the French Riviera is easy. If you are looking for an adventurous spin in a car that boasts energy and power take out an Aston Martin DB 9. The south of France is especially famous for its iconic “alignements de platanes”. Often pictured in brochures, movies and lifestyle reports, these plane-lined roads offer an incredible driving experience. The plane trees were planted back in the days to provide shade to travellers and today a few sections still remain, offering pleasant driving. They are certainly worth looking up and paying a visit, especially if you are travelling with the rooftop down in an Audi A3 Cabriolet. For first time explorers of this part of France, you may come across direction signs that start with the word Bis in Italics. This indicates to a holiday route rather than the main arteries. Taking this alternative route lets you avoid the main roads and the crowds. It also means a lot less truck traffic. This especially applies during the summer months on the weekends, using these roads helps you avoid heavy traffic and unpleasant traffic jams. Choose the likes of a Ferrari F430 Spider F1 or a Lamborghini Gallardo LP 560-4 Spyder and drive along the alluring waters of Cote d Azure, with the rooftop down, bask in the pleasant Mediterranean sunshine. Drive towards the wonderful neighbourhood of Cimiez where you can take a break and take in the works of Matisse and Chagall. Nice has it all and it’s certainly not hard to work out why around 3 million people flock down here every year. Order luxury car rental Nice and have the time of your life.